CEDAR RAPIDS — For most of her life, Dixie Derby has lived on B Avenue NE in Cedar Rapids, but it wasn’t until recently that she came to understand some of her neighborhood’s history. Her neighborhood is getting that recognition now. The B Avenue NE Historic District was officially listed last month on the National Register of Historic Places, the first new historic district in Cedar Rapids in years. Volunteers behind the nomination are inviting the neighborhood to celebrate the accomplishment at a gathering at the Tic Toc, 600 17th St. NE, this Thursday, Jan. 30, beginning at 6 p.m. 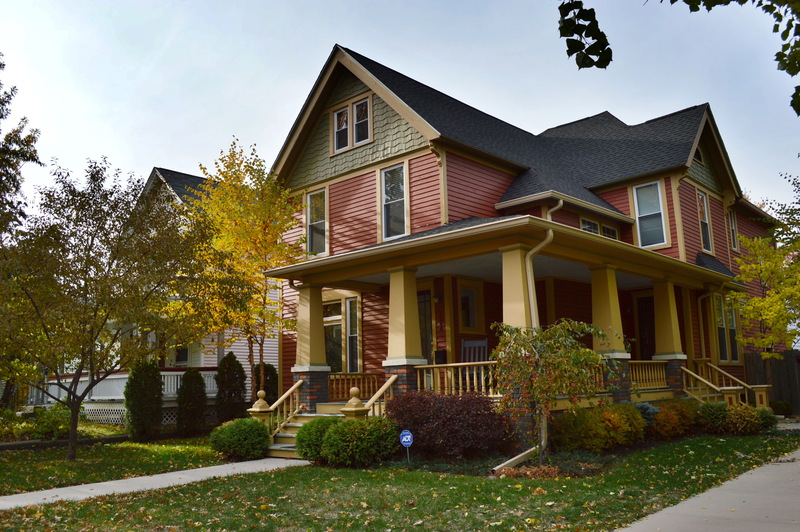 Recognized for its architecture from 1875 to 1963 — including late Victorian and Italianate to bungalow and craftsman styles — the district stretches along B Avenue from 15th Street to 21st Street NE, bookended by the former Polk Elementary School and Franklin Middle School. Side streets are included, up to the alleys. Emily Meyer, who spearheaded the nomination beginning with a grant application, said 167 of the 210 buildings in the district are considered “contributing” structures, with distinctive architectural significance. 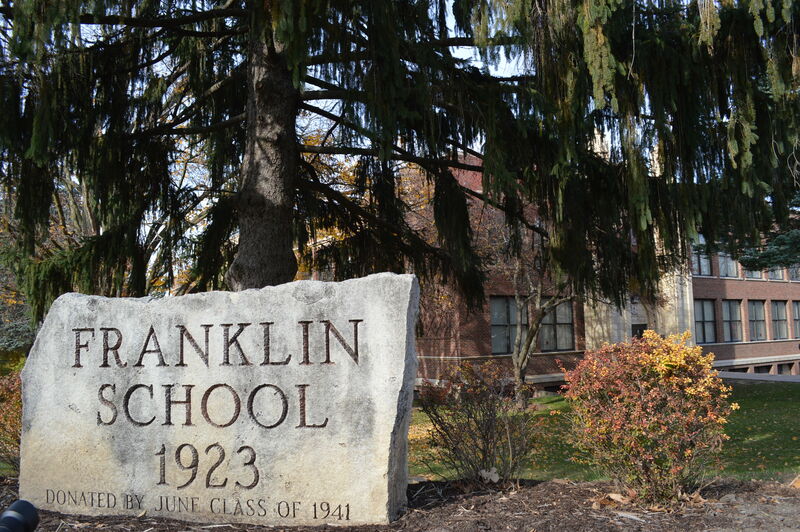 Franklin school, built in 1923 with ornate Gothic arches, is one of those contributing structures, while the more modern Polk school is not. Recognized for its side steeple with an open belfry, the stone church at 1700 B Ave. NE, built as Central Park Presbyterian in 1904, also is a contributing structure, along with 128 homes and other buildings. Eighteen volunteers were involved with the project, with guidance from Meyer and architectural historian Alexa McDowell of AKAY Consulting. The $11,620 grant was used for McDowell’s work. For more than a year, volunteers pored through city directories, newspaper archives, files at The Carl & Mary Koehler History Center in Cedar Rapids and the Cedar Rapids Public Library to find information for the district’s nomination. 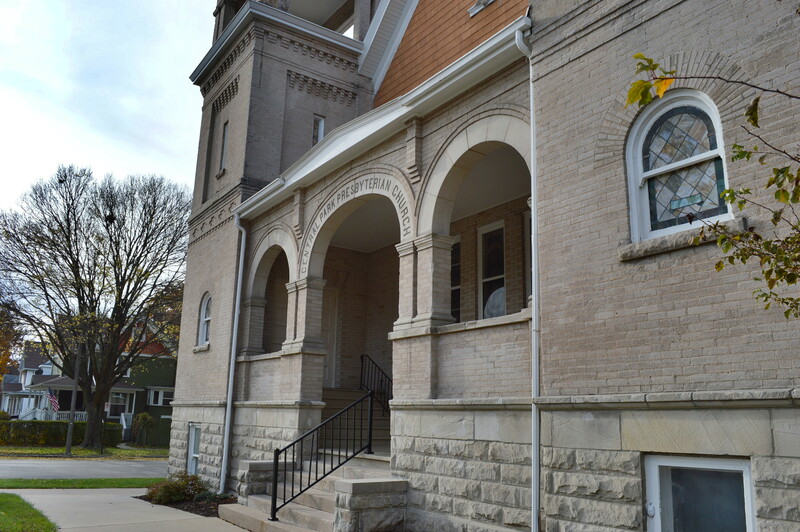 The National Register listing is more than honorary, as owners of contributing buildings are eligible for historic tax credits on major restoration projects, as well as grants. Meyer, who lives just two blocks away from B Avenue, said the nomination became urgent after other Cedar Rapids neighborhoods shown eligible for the National Register from surveys in the 1990s — including those on A and C avenues NE — became ineligible due to too many demolitions. 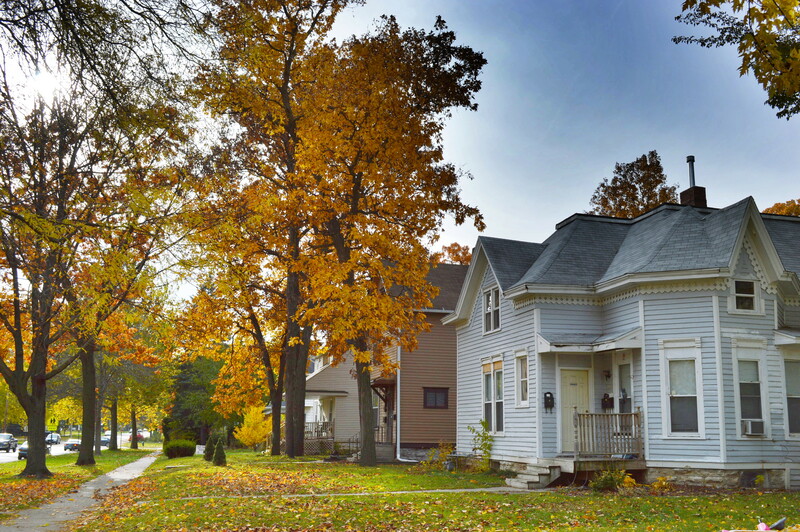 Coe College has purchased the majority of properties in the 1400 block between A and C avenues and has been razing homes, creating swaths of empty lots. The college also purchased the B Avenue Fire Station to use for student housing, a move applauded by the advocacy group, Save CR Heritage, of which Meyer is a board member. A listing on the National Register does not prohibit demolitions, nor does it dictate how owners can make changes to their buildings, but Meyer noted that the designation can instill a greater sense of pride in a neighborhood. “I knew that people in the neighborhood were proud of its history,” she said, pointing to a recent Grant Wood walking tour that attracted more than 40 people. The childhood home of the renowned artist, 318 14th St. NE, sits just outside of the district, and is now surrounded by empty lots. 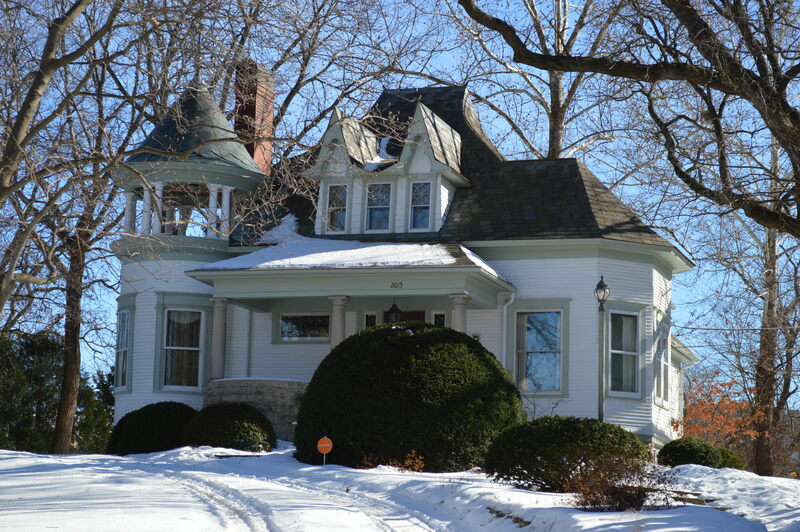 Wood’s mother, Hattie Wood, purchased the home in 1902 after her husband died and the family moved to Cedar Rapids from Anamosa. Wood won third place in a national art contest while attending Polk School and lived in the 14th Street home, and elsewhere in the neighborhood, after graduating from Washington High School. One of the homes where he lived has since been demolished. Carol Sindelar, vice president of the Mound View Neighborhood Association, said the famous painter is just one of the interesting figures who populated the neighborhood in its early years. 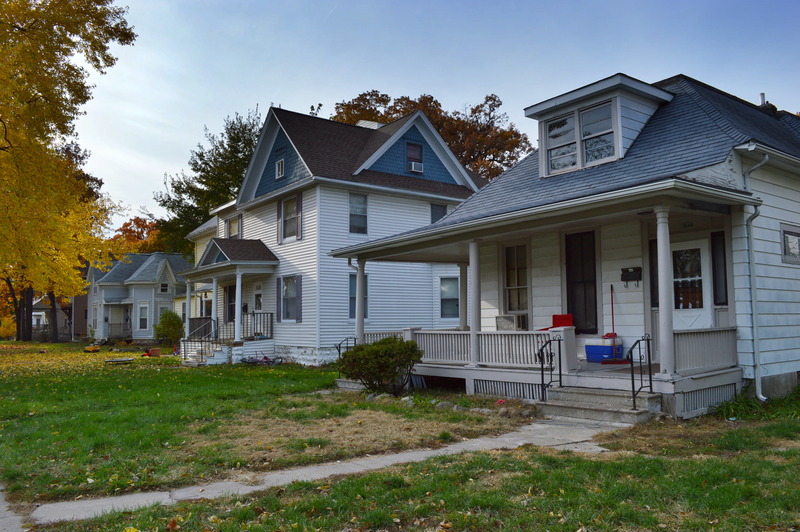 Sindelar can detail the history behind numerous homes and created a presentation to show during a meeting of the Mound View Neighborhood Association, which includes B Avenue NE. 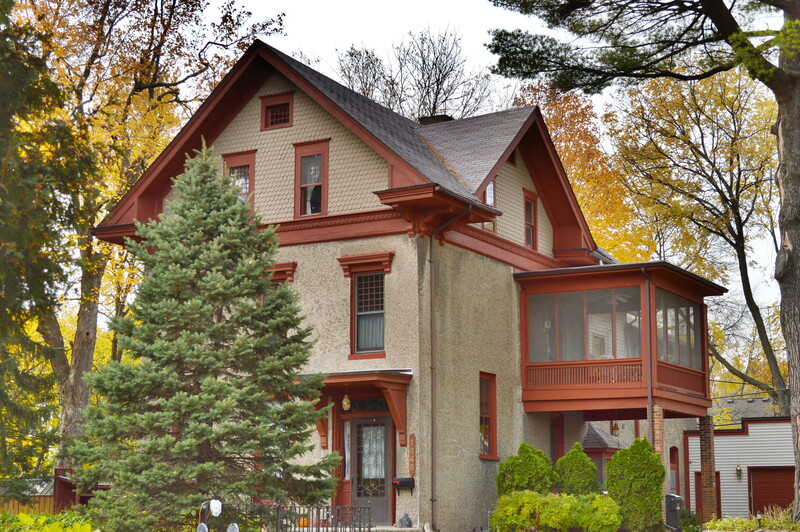 For example, businessman John Thomas Waterhouse, who came to New York from England as a merchant in 1839, built the first house on B Avenue in 1875 after arriving in Cedar Rapids at the invitation of Judge George Greene. Previously, Waterhouse had moved to Tasmania, but doctors in 1851 determined he was dying of “consumption,” with one lung gone and the second not functioning well. They advised him to move to Hawaii, where his health improved, though he lost many of his mercantile ships at sea. At Greene’s urging, he eventually made his way to Cedar Rapids, where he built the stucco house at 1846 B Ave. NE after seeing the great potential of the railroad and commerce in the area. Sindelar noted that two of the more elaborate homes were not built on B Avenue, but were moved there from elsewhere in Cedar Rapids. The Spencer house, at 1955 B Ave. NE, was built in 1873 on First Avenue NE for Porter Hamilton. The home was turned around in 1912 and moved about 450 feet to its current hilltop location for William Spencer, who lived there from 1912 to 1944. Another home, the John T. & Jesse Wurster House, built in 1890, was moved about two miles to 2015 B Ave. NE in 1918 from the corner of Third Avenue and Sixth Street SE. Designed by well-known Cedar Rapids architect Charles Dieman, the home includes a corner tower with open balcony, paired dormers and a multi-sided wing. The home was moved by the LaPlante-Choate Company, a local firm widely known as inventors of some of the earliest equipment capable of moving large buildings and was a surprise gift from John Titus Wurster to his wife, Jesse. Sindelar said even the more modest homes have equally interesting histories. The original occupant of a square hip roof cottage at 1861 B Ave. NE came to Cedar Rapids in 1855 with his family as an infant, she said, with the final leg of the journey by stagecoach from Davenport. His mother, Caroline C. Boyce, was a cousin of Judge George Greene’s wife. She and her husband, John C. Boyce, were encouraged to move to Cedar Rapids with their two young sons while Judge Greene and his wife were visiting in New York. 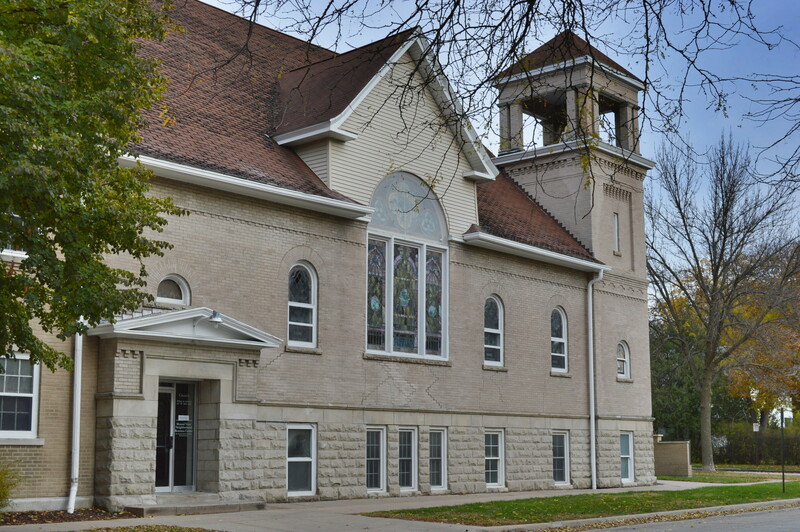 The Boyce family soon became closely identified with the church, business and social life of Cedar Rapids. Residents of the B Avenue Historic District, volunteers and others interested in the history of the neighborhood are invited to a celebration of the new district beginning at 6 p.m. Thursday, Jan. 30 at the Tic Toc, 600 17th St. NE. Site inventory forms and the nomination will be available to view and people are invited to bring photos and other information to share. 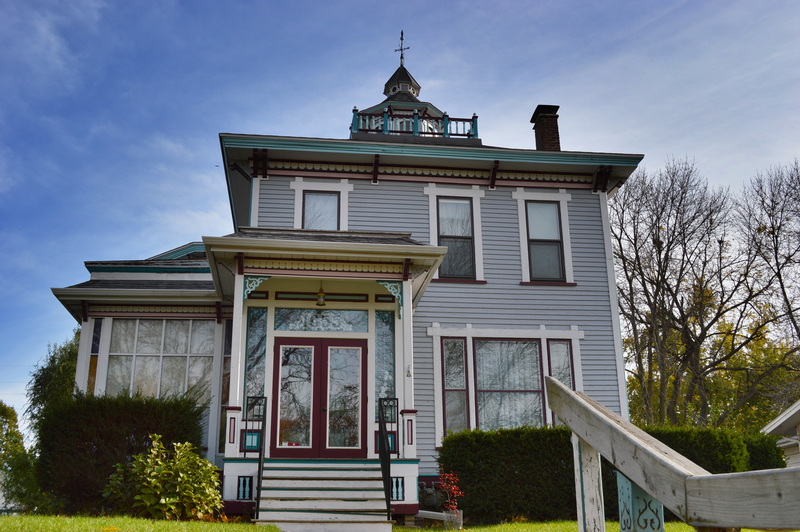 Residents from other neighborhoods also can learn more about the process of nominating a district to the National Register of Historic Places. 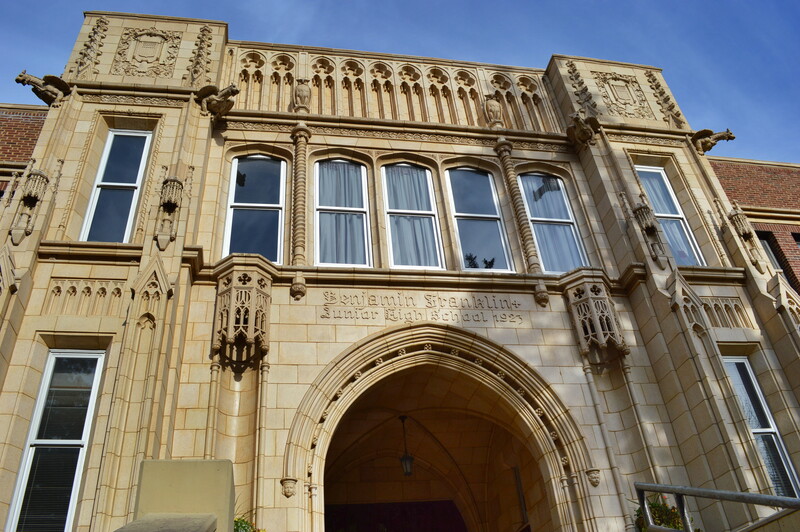 Intricate craftsmanship can be seen in the Gothic arches at Franklin Middle School. 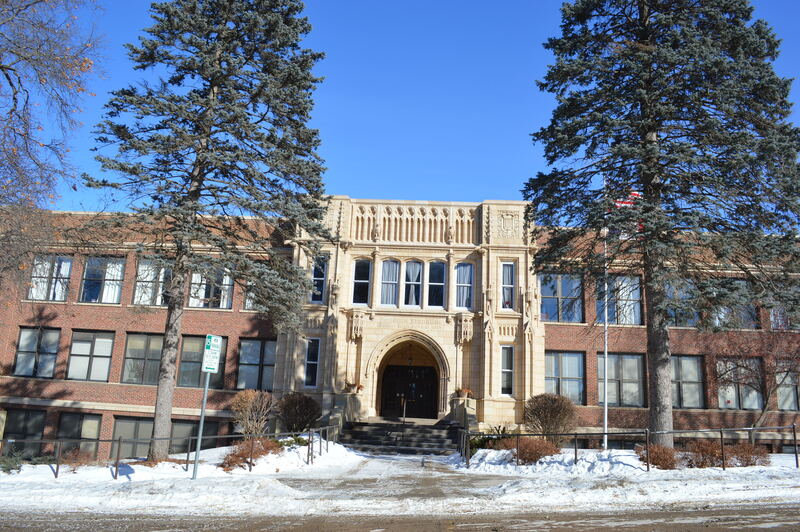 Built on a sloping site, the school was designed by Cedar Rapids architect William J. Brown.